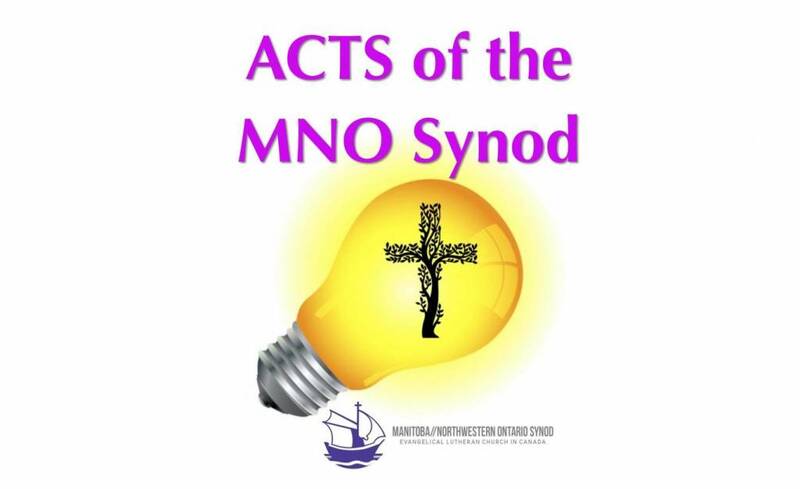 For the period 2016-2018, the MNO Synod, like each of the Synods in ELCIC, has been gifted $200,000 from the National Church CECF fund, to use in ways that are unique in each congregation from anything ever tried there before, in order to explore what it means to participate in God’s mission in our changing world today. More funds have been released, and the time-frame has been extended to the end of 2019. There are many spiritual gifts amongst our congregation members, including dreams and ideas that when expressed through voice and acted upon, are signs of God’s unconditional love for his people. These expressions encourage, uplift and unify. The book of ACTS, specifically in Acts 16:6-10 tells how Paul was guided in his steps by the Holy Spirit. Today the Spirit continues to move in mysterious and surprising ways, just as it did in Paul’s days. How exciting for God’s people. Let us experiment as Paul did, in faith and trust that our actions are guided by the same Spirit in our particular context. We invite you to dream and vision right where you are. Are there opportunities that come to you or others in your community, in conversation and prayer…do you ever imagine being able to try these things out? Imagine what you might try if you had some dollars to fund it and people to provide their gifts, to give life and bring to light how you are being nudged, or pushed by the Spirit. There’s no better way to feel inspired by the Holy Spirit, feed your imagination for God’s mission today, and fuel a vision of the reality of the risen Lord Jesus in our world than to enter the Bible. So why not start your ACTS of MNO Synod by getting together with others and spending some time Dwelling in the Word. While the particular geographic places are interesting, the real point of this passage is that twice the plans of Paul and his companions are blown away by a strange and higher power outside themselves, namely, the “Holy Spirit”, the “Spirit of Jesus”. The really important thing Luke is telling us today is that while the acts of the apostles 2,000 years ago didn’t necessarily establish what they started out to accomplish, Jesus was still alive and leading them in new directions to do God’s work. Where do we find ourselves in this story – Right at the end – in the “we” of verse 10, that’s where! For when we read that “we”, it draws us into not only that old story of mission in the early church, but into our own stories of Jesus calling and the Holy Spirit leading us in strange and mysterious ways. NOW might just be the time that God is calling you and/or your congregation into a new venture of faith. Remember: it was God’s mysterious, miraculous intervention and guidance that irresistibly called Paul toward Macedonia…. which somehow, could not be refused. So, where do you see a “Macedonian” man, woman, or child on your turf? How does this passage move you to ACT? Share what you hear within the group. Be prepared to share the steps you took and what happened along the way, just as Paul did. Here are stories of projects where Acts of the MNO Synod funding has helped create something new!